After establishing himself as the 7th fastest 100m freestyler in the world this season with yesterday’s 48.85 prelim swim, South African Chad Le Clos opted out of the final to focus solely on the 200m butterfly. The decision paid off, as the 24-year-old nailed a solid time of 1:56.54 to drop just over 3 seconds off of his 1:59.57 200m fly prelims time from yesterday. Le Clos’ sub-1:57 mark came virtually uncontested, as his next-closest competitor, countryman Myles Brown, touched over 5 seconds later in 2:02.10 for silver. With his outing today, Le Clos checks in with the world’s 6th-fastest 200m butterfly time this year, a promising position with Budapest just 139 days away. Also of note is the fact that Le Clos’ time of 1:56.54 today is right on par with where he was at this time last year in the lead-up to the Olympic Games. In early February 2016, Le Clos put up a mark of 1:56.42 while competing at the Durban Grand Prix and followed up two weeks later with a comparable 1:56.60 in Stellenbosch. 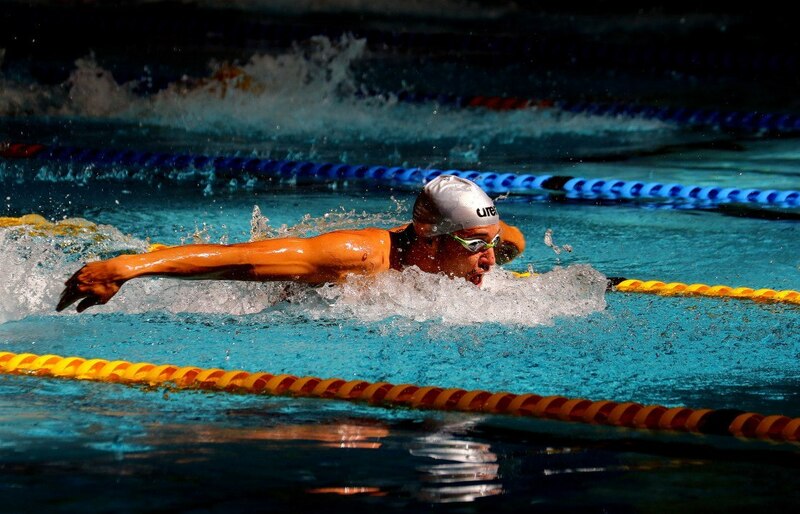 Le Clos is slated to swim the 200m freestyle and 100m butterfly events in this afternoon’s prelims session at the Stellenbosch University Swimming Pool, so look for more results from this South African star.